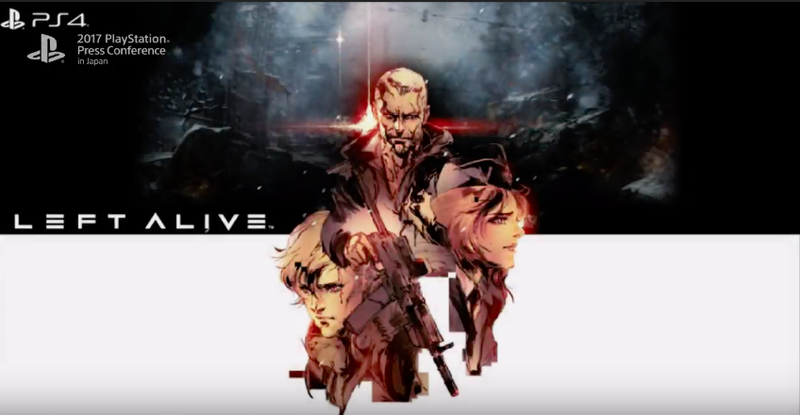 Today at Sony’s pre-Tokyo Game Show press conference, Square Enix revealed a brand new game titled Left Alive. The trailer showed what looked like an apartment or hotel hallway that was blown to bits. The camera pulled back to reveal a ruined city and futuristic aircraft. Here, watch the trailer for yourself. Yoji Shinkawa of Metal Gear fame is designing the characters, Shinji Hashimoto of Square Enix is producing, and Toshifumi Nabeshima of Armored Cored V is directing. Left Alive is scheduled to be out next year in Japan. No word yet on an international release.